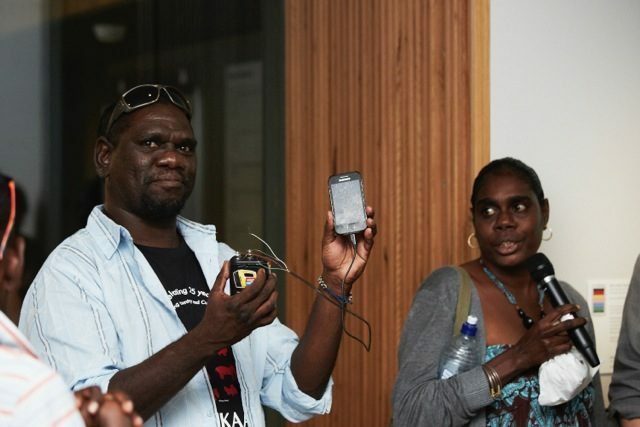 In 2008 the introduction of Telstra’s 3G mobile network generated a wave of creative energy across Arnhem Land. 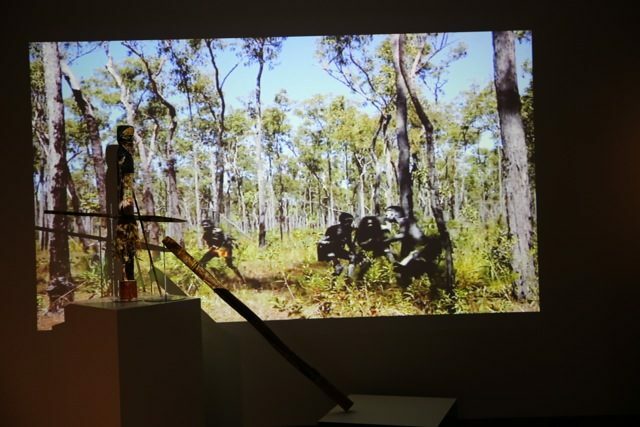 New genres of video, photography and performance flourished. 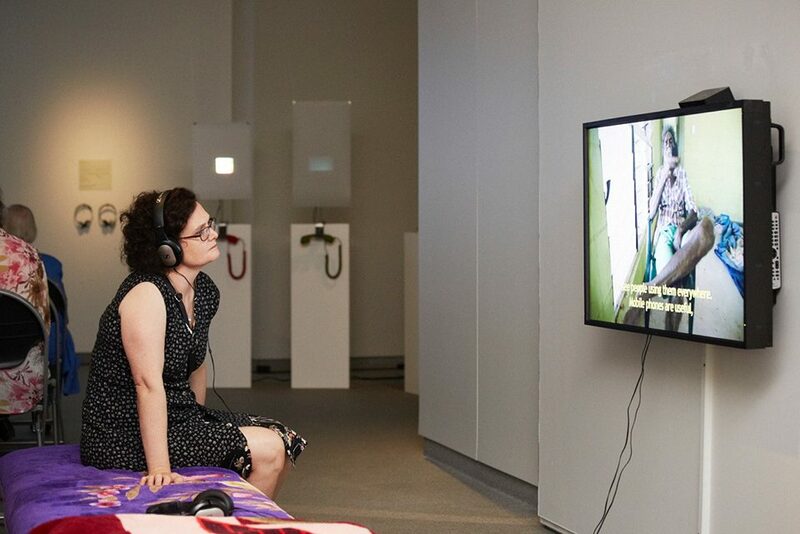 Travelling lightning-speed via satellite and Bluetooth, this emerging digital culture rode the energy of the new and the cheeky. 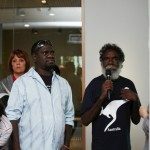 Moving hand-to-hand, kin-to-kin, community-to-community, it drew inspiration from both the internet and the ancestral. 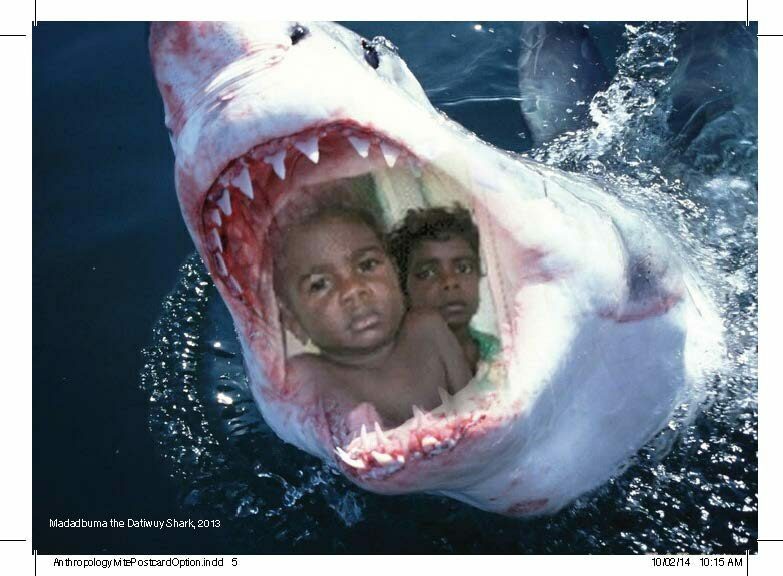 It was made to be watched, to be shared, and then deleted to make way for the next. 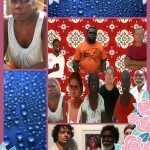 So began a new era in Australian Indigenous media. 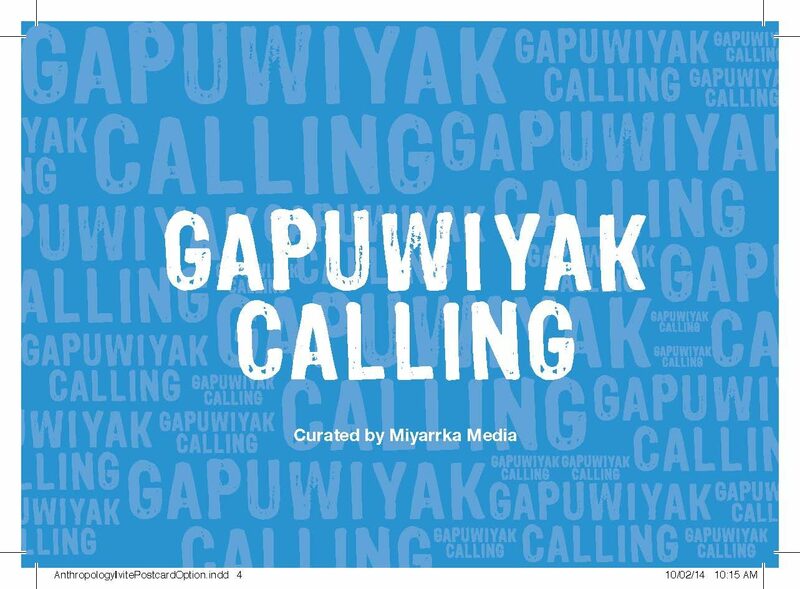 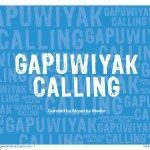 Gapuwiyak Calling celebrates mobile phones as technologies of creativity and connection. 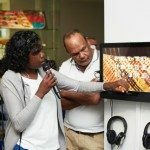 Curated by Miyarrka Media, a media-arts collective based in the northeast Arnhem Land community of Gapuwiyak, it features phone-made material collected over the past five years, as well as film and video produced specifically for this exhibition. 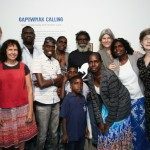 The show features a number of distinct genres of Yolngu phone-media. 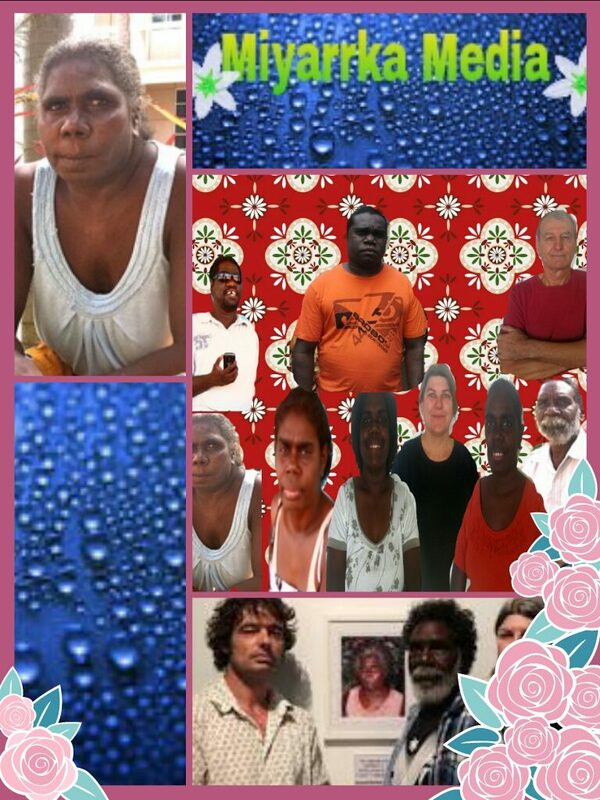 They include phone-art collage featuring giant green frogs and dreadlocked babies; cut and pasted family photographs uniting the living and the dead in flashing gif files; biyarrmak (funny) videos featuring fragments of mainstream television and movies re-voiced with Yolngu jokes in Yolngu languages; young men dancing in blue grass skirts ordered from the internet to a remix of the 1980s hit Sweet Dreams; other men dancing furiously to the Can-Can song while making fierce claims about Yolngu Culture; and a short film about the variety of ringtones in use in Gapuwiyak, from ceremonial songs, to gospel and hip-hop. 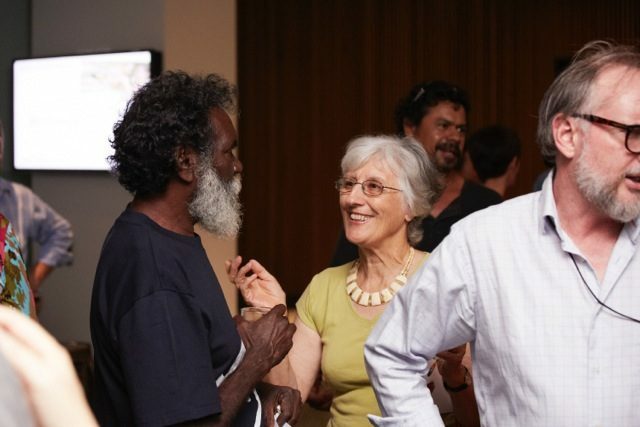 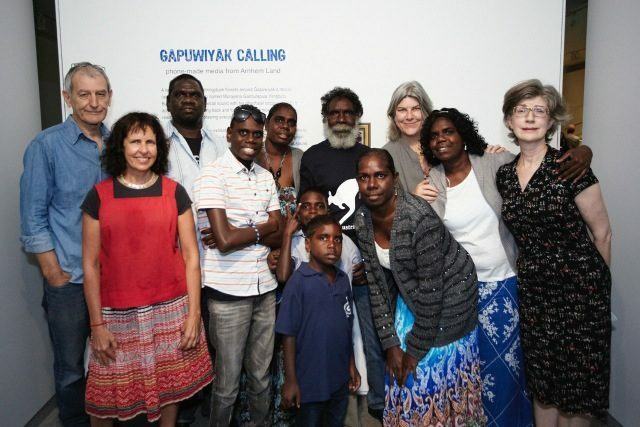 Although much of the content is deliberately playful, incorporating ostensibly ‘foreign’ sound and image elements accessed via the internet connection on their phones, the Yolngu curators nonetheless see the exhibition as an opportunity to assert enduring and meaningful connections between generations of Yolngu kin living through times of enormous social stress and change. 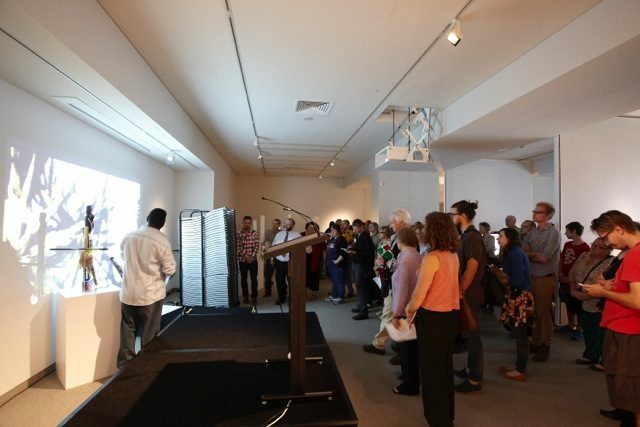 Structured according to a Yolngu poetics of call-and-response, the exhibition takes motif and meaning from the actions of an ancestral mokuy (trickster spirit) who lives in the stringybark forests of Arnhem Land. 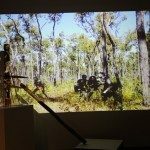 In ancestral times this mokuy signalled other clans with his dhadalal (a special didgeridoo) sensuously establishing enduring and ritually significant relationships between places and people across the region. The sound dhadalal became a way to gather all the clans—dhuwa and yirritja moieties—together for certain large public ceremonies. 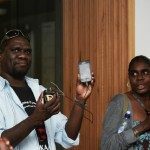 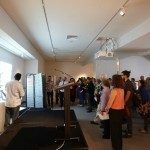 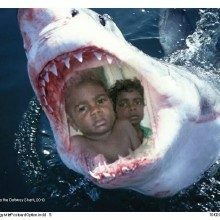 As Miyarrka Media’s Paul Gurrumuruwuy describes, “It’s a sound everyone can hear. 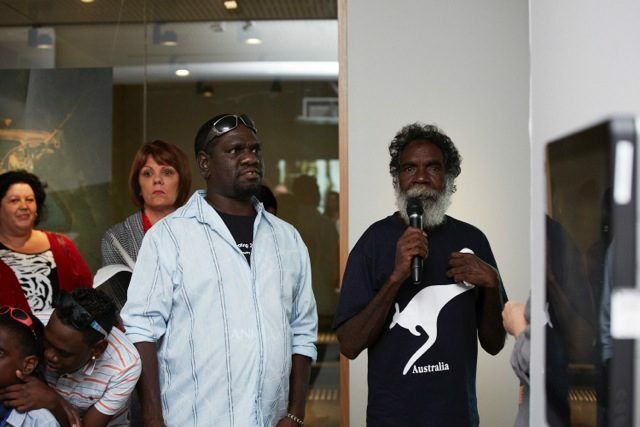 It reaches the ears and the mind, so everyone, all the clans, will move in and join together”. 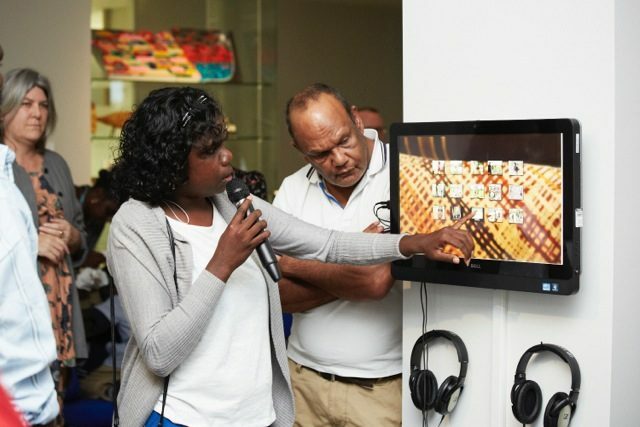 In this exhibition gallery visitors will be greeted by this special dhadalal call—a call which as it resonates in the space together the sound of ringing phones gestures to the possibility of new kinds of digitally mediated relationships both within and beyond Arnhem Land. 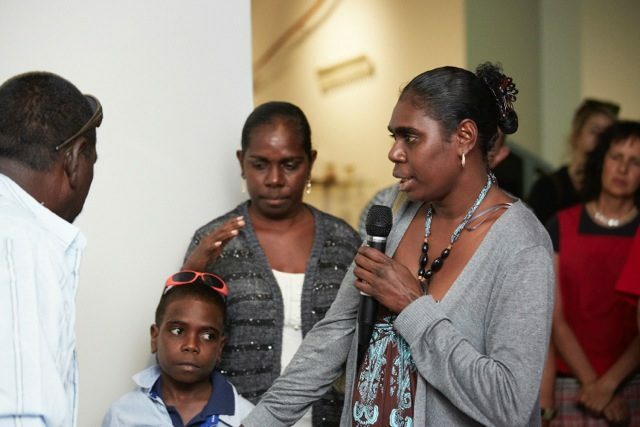 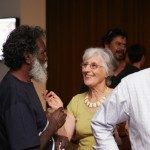 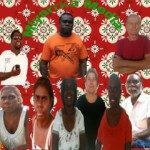 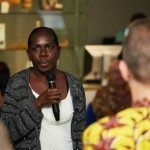 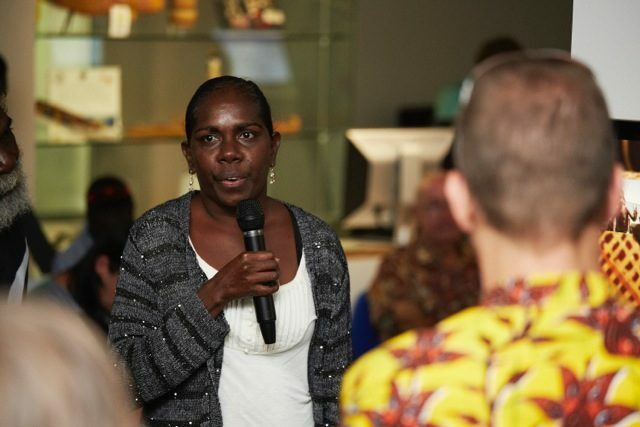 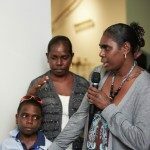 James Bangaliwuy Ganambarr, Warren Balpatji Gurruwiwi, Enid Gurrungulmiwuy Wunungmurra, Jennifer Bununuk Deger Wunungmurra, Meredith Balanydjarrk Wunungmurrua, Paul Gurrumuruwuy Wunungmurra, Evan Birrkbirrk Wyatt Wanambi, Kayleen Djingadjingawuy Wanambi, Fiona Yangathu Wanambi.